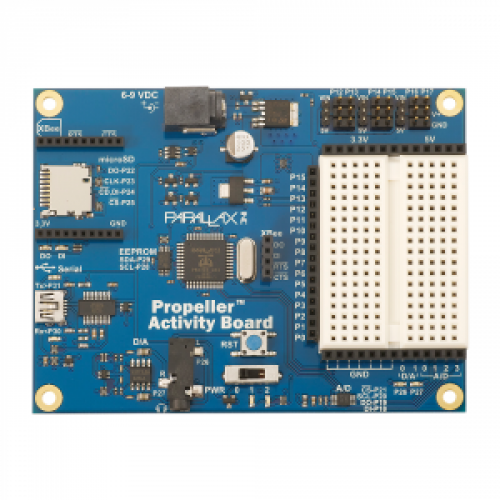 Harnessing the power of the 8-core Propeller microcontroller is now easier than ever before. The built-in Propeller P8X32A programming system is pre-wired to the most popular peripherals, making experimenting fast and fun. 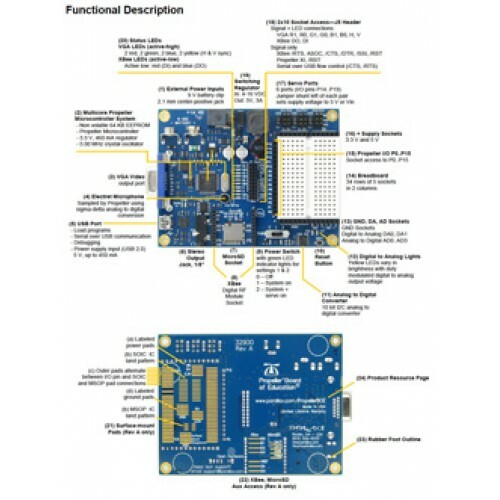 3-pin headers — quickly connect servos, serial LCDs, etc.